If you or a loved one has been charged with a Battery on a Law Enforcement Officer then it is of key importance to have an attorney with a proven record in defending against serious felony charges. Attorney Jeff Dean has that track record with a 21 year history of successfully handling numerous serious criminal cases. Mr. Dean has had judges strike down laws as unconstitutional, won precedent setting cases, and he has repeatedly saved immigrants facing charges from being deported. He has won many DISMISSALS of assault charges, and in other cases he has had felony assault charges reduced to a simple misdemeanor disorderly conduct or misdemeanor assault. Jeff Dean has even won NOT GUILTY verdicts in serious felony cases, including murder, where there was overwhelming evidence of guilt. Attorney Jeff Dean can defend you against any accusations or arrests involving battery on a law enforcement officer, whether this is an arrest on its own or whether it is simply one of many accusations that you have encountered. To protect your future, contact Jeff Dean today at (305) 967-6311 or (954) 204-3633. Facing a South Florida Battery of a Law Enforcement Officer Charges? Battery of a law enforcement officer often is a question of self-defense. Police sometimes use excessive force to get their way and thus you may only be defending yourself from attack. When someone is aggressive with you, it is only natural to want to fight back, to push a little bit or to try to relieve some of the pressure you are experiencing. This is not the same as battery and often police officers will attempt to suggest that your natural instincts to self-defense are a crime. This is not the case. One of the many defense tactics that Jeff Dean considers is that the conduct was simply self-defense if the accused had a reasonable fear of force. If you were concerned that the police officer was going to harm you, then you may have had the legal right to act back. Another possible defense is that you did not have the intent to commit the act. The state must prove beyond a reasonable doubt that you acted with such intent; and if there is a reasonable doubt whether you had this intent then you are not guilty. For a Battery on a Law Enforcement Officer charge the state must prove that you intentionally touched the officer in an offensive or harmful manner or intentionally caused bodily harm. Miami attorney Jeff Dean will employ every strategy to show that the state has not proven you acted with such intent. Call attorney Jeff Dean today at (305) 967-6311 or (954) 204-3633. The Battery On A Law Enforcement Officer Statute Also Prohibits Battery and Assault Against Firefighters, Public Transit Employees, And Emergency Medical Care Providers. Florida Statute 784.07 prohibits both assault and battery of law enforcement officers, firefighters, public transit employees, and emergency medical care providers. This is a very serious charge, as reflected by the statute’s enhanced penalties for such a conviction. The Battery on a Law Enforcement statute provides that any person charged with committing an assault or battery upon a law enforcement officer, a firefighter, or an emergency medical care provider will have the charge enhanced and reclassified to a more serious charge. Thus, in what would otherwise be a misdemeanor battery (if committed against a person not a Law Enforcement Officer, Firefighter, etc. ), the charge will be enhanced to a felony of the third degree. In the case of assault, the charge is enhanced from a second degree misdemeanor to a misdemeanor of the first degree. In the case of aggravated assault, from a felony of the third degree to a felony of the second degree, and in the case of aggravated battery, from a second degree felony to a felony of the first degree. The statute further states that adjudication may not be withheld and the imposition of sentence shall not be suspended or deferred. Fighting fair against a police officer may seem like an impossible task, especially as you may assume that the court will always side with the law enforcement officer. But this is actually not the case. 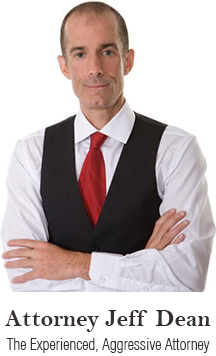 Attorney Jeff Dean has had extensive experience and great success in defending the accused. Contact Fort Lauderdale & Miami battery attorney Jeff Dean today at (305) 967-6311 or (954) 204-3633.